What’s the most exciting thing you have to look forward to this week??? 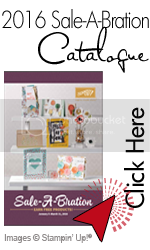 THE RELEASE OF THE NEW STAMPIN’UP! CATALOGUE OF COURSE!! To celebrate this release and the good things that come with a new catalogue, I’m hosting an Open House! …if they can tear their eyes from the gorgeous new catalogue long enough to get their fingers inky!! 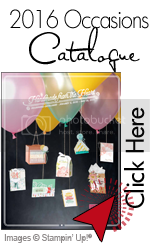 This card combines quite a few new products – have you noticed that pennants are all the rage right now??? Of course Stampin’Up! is staying right on top of current trends for us! I LOVE your card. I dont have this stamp set but am about to order it. I just love how you have put your card together with all the little touches. What is the white doiley you have used in the background? It’s adorable. Best wishes from Down Under!